First cohort, IMTFI fellow Caroline Schuster is publishing a new book this month, Social Collateral: Women and Microfinance in Paraguay’s Smuggling Economy by UC Press (October 2015). In this post, Carly shares and reflects on the process of writing the book, and how it grew out of her IMTFI research. 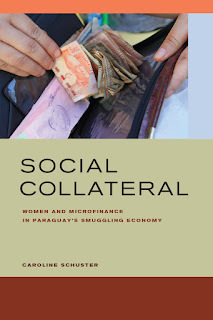 I first began research on this book about microfinance in Paraguay in 2006. It was a time when consumer and housing credit in the United States appeared to be a mainstay of the economy: cheap, ubiquitous, and seemingly endless. I returned to Paraguay for sustained fieldwork supported in part by the IMTFI in February of 2009 until August of 2010. It was a moment when big banks as well as microcredit borrowers in Paraguay were all grappling with how to understand a profoundly changed credit market. As such, my book is about global finance, just not from the dominant perspective of Wall Street. 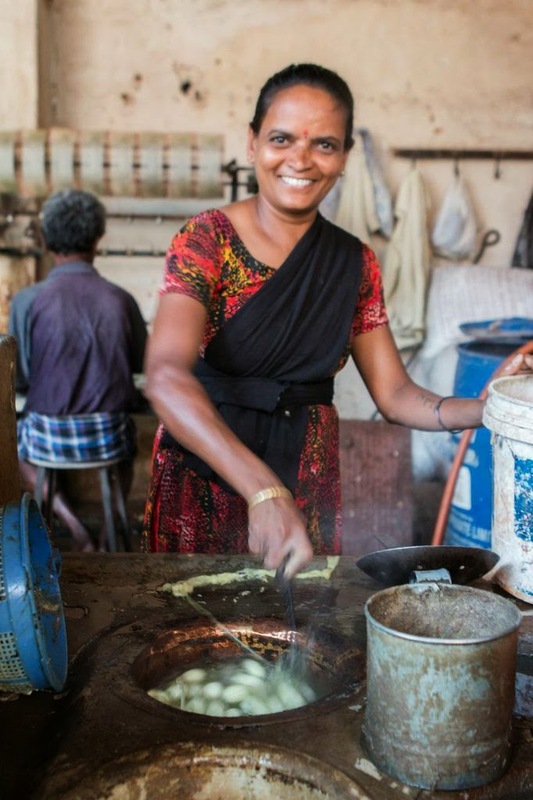 I tell the story of how microfinance loans are made, sold, and managed — their life cycle from creditworthiness, to repayment, to renewal — as a window into the on-the-ground workings of financial tools. This was crucial also because at that very moment those very tools were being hotly debated in the midst of the global financial crisis. My account of social collateral is necessarily an interwoven account about the feminization of solidarity lending. At its core is an economy of gender—from pink-collar financial work, to men’s committees, to women smugglers. In the book, I track how microfinance reshapes notions of what it means to be both a woman and a borrower. What emerges from these accounts are interdependencies that bind borrowers and lenders, financial technologies, and Paraguayan development in ways that structure both global inequality and global opportunity. Pick up a copy of Social Collateral from University of California Press today! 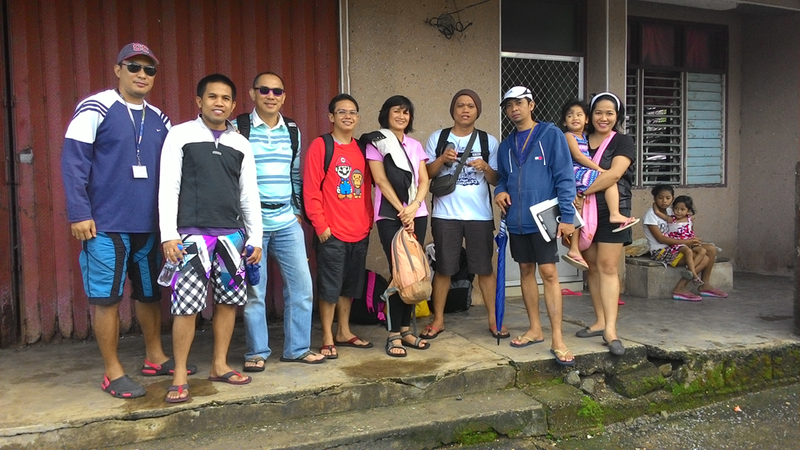 Google Maps declared that the barangay we were headed to was just 14 minutes away from where we hit the shore. As I announced this to the team we all had a good laugh. There was definitely no traffic in this area, but to say that we would get to Barangay Cagnipa in 14 minutes was to presume we were going there by helicopter! We weren’t. We were going there on foot. Cagnipa is one of the more remote barangays of Garchitorena, a poor fourth class municipality of the province of Camarines Sur in the Philippines. The barangay or village is among the poorest in the district. Cagnipa is located in an island where there are no means of public transportation by land. People walked. They climbed up and down the hills and then they walked some more. Like many other villages in Garchitorena’s islands, Cagnipa relies on what the sea provides. People fish when they can, and when they cannot due to the easterly winds, they turn to agriculture. Or they leave the village and seek work elsewhere as carpenters, construction workers, house helpers, bakers, store helpers, or whatever employment their limited education and skill-set can fetch them. 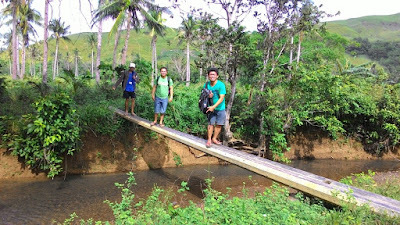 Our guide to Cagnipa offered us two choices: we could either climb and cross the steeper side of two eastern hills that separated Cagnipa from Burabod, the barangay on which we docked; or we could trudge along a roundabout path that would take us through the seaside mangroves of the island (a muddy forest at that time of the year), and then up the promontory of a hill west of Cagnipa. We chose the latter, deciding that the sights were better on this route. The route we took was also the one that most of Cagnipa’s children took when they went to school at Burabod. 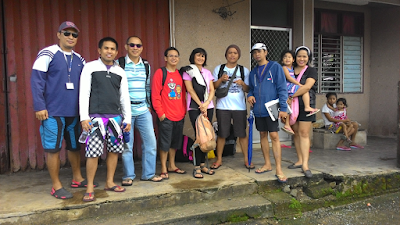 The one-hour trek tested our endurance. We learned that that many of the school children had to quit school because it was so tough to make it everyday. They then become like their parents: poorly educated, shackled to poverty and at the mercy of the sea’s caprice. We were asked by our guide why were we headed to Cagnipa. We answered that we were part of a research team surveying the town of Garchitorena for interviewing its fishing households about their usage of mobile money transfer and storage, or what was locally called “SMART Padala.” We said we were trying to find out how many made use of the technology, what problems they encountered while using it, and what was their general assessment of it. Our guide nodded at this, saying that his cousin at Cagnipa was actually one of the only two mobile money transfer providers there and that the villagers found the service convenient in sending and receiving money. Indeed, not only in Cagnipa but in all the barangays we had surveyed, the consensus has been that “SMART Padala” was a more efficient and cost-effective way of sending and receiving money from loved ones and kin. People found its process to have been convenient and fast, and relatively inexpensive. When sending money, the senders inform the service provider of the SMART Padala number of the service provider from whom the recipient would claim the money. In addition, they inform the service provider of the amount they wish to send as well as the name and mobile number of the recipient. They hand the amount they are sending—together with the transaction fee—to the service provider who then secures the transaction. Once successful, the service provider then sends an SMS message to those who had sent the money, informing them of the confirmation and reference numbers. The receiver also receives an SMS with a reference and confirmation number. Once these are affirmed, the recipients are handed the amount sent after the small transaction fee has been deducted. The process, however, was not without its problems. Since mobile money transfers make use of mobile network connections, their reliability and success is contingent on these connections remaining stable, uninterrupted and available. This requirement is made painfully acute during periods of calamities such as typhoons when power and network lines are down and people in the islands need to receive cash support from family members, friends, and relatives. 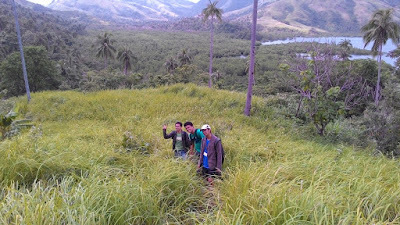 The remote location of the barangays make it difficult for their residents to secure constant network connection for their phones. This problem gets accentuated due to the insufficient number of mobile phone sites or stations that broadcast the network signal or connection. Having arrived at Cagnipa after more than an hour’s trek from Burabod, we immediately proceeded to undertake the survey-interviews of 20 fishing households, even as the thought of the return trip weighed heavily on our heads. 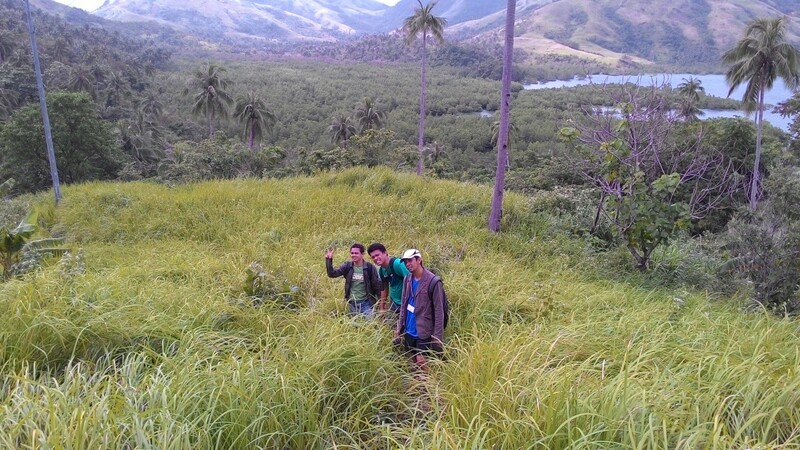 We split the barangay to four areas, dividing them up between each of us so as to cover more ground efficiently. In retrospect, our research yielded five major findings regarding the usage of mobile money transfer and storage technology by Garchitorena fishing households: 1) The higher the educational level of fishing household heads, the greater the amount of money they had sent; 2) The higher the household income, the greater the amount of money sent to these households; 3) The higher the educational level of fishing household heads, the greater the amount of money received by these households; 4) The bigger the size of the fishing household, the greater the amount of money received by the household; and 5) The higher the household expense, the greater the amount of money received by the household. It was interesting to note that while higher levels of educational qualifications appeared to have a positive influence on the usage of this technology, lower educational levels of household heads did not seem to limit the its use. This could imply that lower level of education was not a contributing factor to fishing household heads’ use of mobile money transfer services. By the end of the day, we completed our interviews and plodded back to Burabod to our boat and a rendezvous with the other survey team members. Cagnipa continued to linger in our thoughts. In this very remote area, where many lives are dire and destitute, life flowed on. Separated by the vast expanse of sea and land, families at Cagnipa find themselves comforted by the thought that during the time of financial need they could easily send a relative or a loved one an SMS message seeking for help. And this help could arrive just minutes away. See the final report, "Storing and Transferring Money in Cash-Strapped Fishing Municipality in the Bicol Region"
In March of 2015 IMTFI arranged for a comprehensive visit to India to gather updates on four of their sponsored research projects, introduction can be found here. 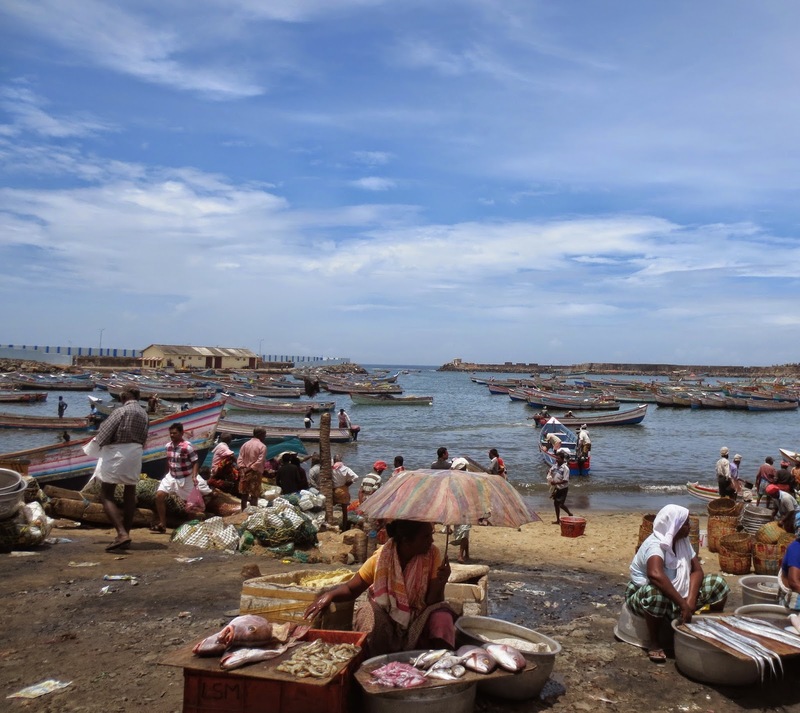 This final of four case studies takes a look at Kerala fishers with Janaki Srinivasan. Janaki Srinivasan of the International Institute of Information Technology Bangalore is interested in interrogating two major trends in digital culture today: "info-determinism" and "disintermediation." She had always been "interested in intermediaries, the importance of how the intermediary was introduced, and why he is always a villain. For example, why is the human auctioneer in the fish market perceived as an obstacle?" In our conversation, she also cited the work of Elisa Oreglia on the value of intermediaries and "how to re-embed them in market information systems" and grapple with "a sensible way to make them useful." She explained how just as technological determinism assumes that social development depends upon progress dictated by a history of novel inventions, informational determinism assumes that adopting new data paradigms (such as policies around transparency, open access or large-scale data mining) will necessarily transform society. The gradual removal of intermediaries in this schema is often understood as a part of this transformation. For example, even as the Indian online mega-store Flipkart puts many neighborhood merchants out of business, it is still lauded by enthusiasts for streamlining the labyrinthine supply chains of the country. In this regard, Srinivasan draws attention to the massive international Global Impact Study which has done the important work of documenting the role of so-called "infomediaries" around the world. In this study, the researchers found that many people did not prefer direct and unmediated access to information from personal computers. Whether it was information of interest about agriculture, health, or other topics citizens often preferred greater social transactions that involved local experts, authorities, and mediators serving as go-betweens. (The Global Impact Study was a groundbreaking and wide-reaching study funded by the sponsorship of Canada’s International Development Research Centre, and a grant to IDRC from the Global Libraries initiative of the Bill & Melinda Gates Foundation. The Dean of IIIT Balaji Parthasarathy, who is also one of Srinivasan's colleagues was a co-Principal Investigator of the study). In this project, this core group of three scholars were interested in testing the hypothesis that access to price information via cell phones would simplify transactions at fish markets and make the operation of the market fairer, more transparent, and less wasteful for all participants. (Conference paper at ACM Digital library can be found here). In the intervening years since the beginning of the project in 2012, Srinivasan and her Bangalore colleagues have been busy with launching a new M.S. program in Digital Society. This YouTube video explains how this novel degree program is intended to bring social scientists, technologists, and designers together to build research and analysis that would take into account caste and gender in tackling development, health, and sustainability issues. The faculty at IIIT plan to work with an interdisciplinary cohort that is "not only corporate nor only government." Srinivasan began her analysis of ideologies about information by examining the history of right to information campaign in India. She observed that unlike lobbying for the Freedom of Information Act in the United States, which was led largely by journalists, India's 2005 Right to Information Act was the result of fifteen years of grassroots struggles spurred by the efforts of minimum wage laborers who had not received their wages for their work on public works projects. Srinivasan recounts how prior to the legislation, citizens' access to many such public works projects were ostensibly limited by official secrets acts. There were also times when officials could use distinctions between paper and electronic records to prevent public review. The 1996 rallies in Rajasthan were critical for spurring the legislation. These demonstrations called for the locks on government files to be opened, and villagers demanded access to "entire journals" that logged data. According to Srinivasan, organizations like the M.S. Swaminathan Research Foundation (MSSRF) established in 1988, were intended to play an important role in raising consciousness by launching the Information Villages initiative. These organizations were, however more interested in the provision of information rather than conceptualizing it as a right. 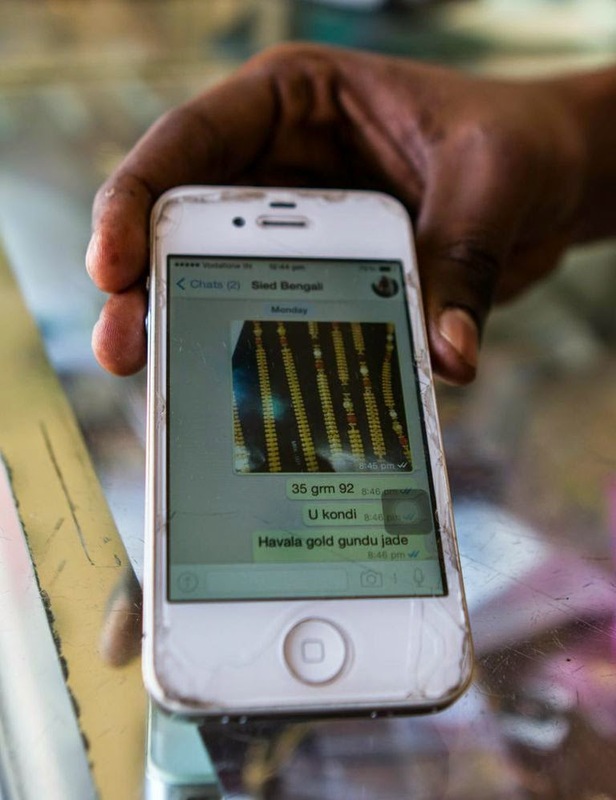 Although a supporter of such transparency initiatives, Srinivasan remains skeptical of the idea that digital transparency alone would be sufficient to level economic inequities. 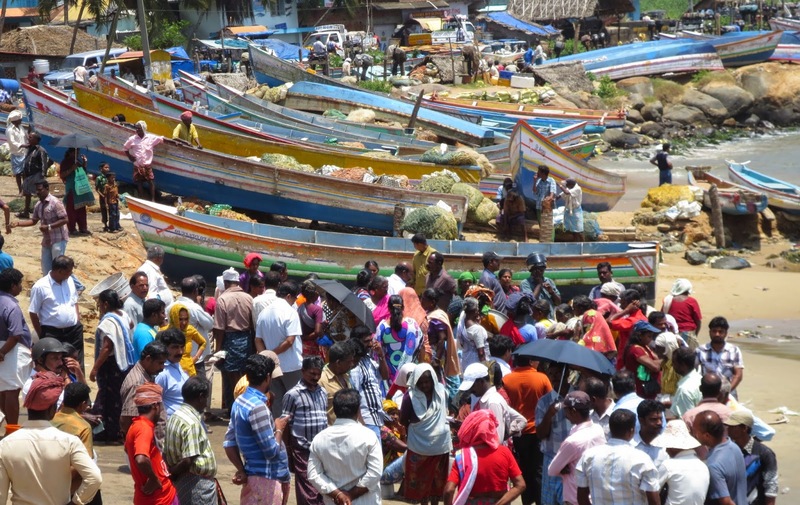 For this project, Srinivasan, Burrell, and Kumar decided to empirically analyze Robert Jensen's "The Digital Provide: Information (Technology), Market Performance, and Welfare in the South Indian Fisheries Sector," a famous study on Kerala fishermen which argued that universal access to information could have transformative effects on bottom-of-the-pyramid workers. Jensen's study had focused specifically on the effects of the introduction of mobile phone service throughout Kerala from 1997-2001 on fishing communities. In the book, Jenson makes the claim that "Using microlevel survey data, we show that the adoption of mobile phones by fishermen and wholesalers was associated with a dramatic reduction in price dispersion, the complete elimination of waste, and near-perfect adherence to the Law of One Price. Both consumer and producer welfare increased." Srinivasan appreciated the fact that Jensen had done a good job of providing detail" in a study "done over time," and the research team decided to revisit and interrogate Jensen's paper written 15 years ago. Noting that social science research wasn't necessarily reproducible in the way that other kinds of scientific research might be, she emphasized that Vizhinjam was "not a place frozen in time" and "not a controlled experiment." Srinivasan was also interested questions that Jensen brought up in terms of "wastage." The team found themselves asking somewhat different questions based on their observations: "If you do eliminate waste, who are the people who get affected? The fish are never wasted in terms of being thrown back into sea." Although they might not circulate in formal markets, the fish have an afterlife in "home-based drying, salting, or processing." 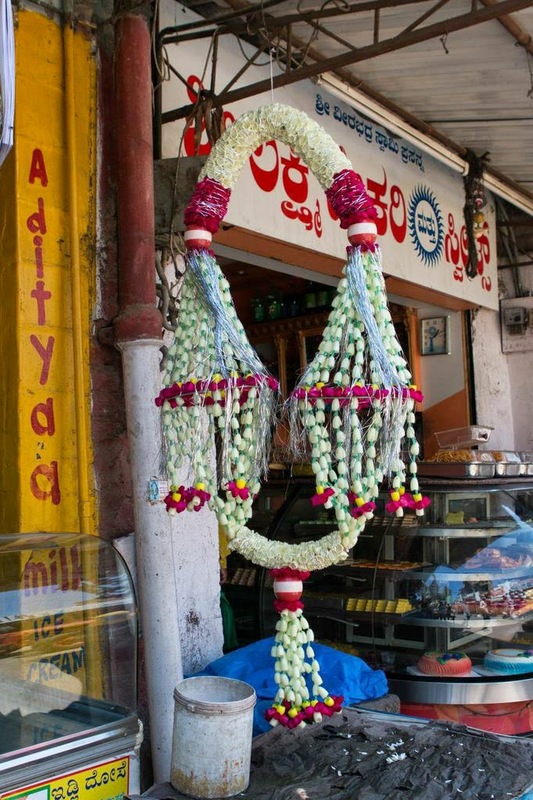 Being interested in "the thinking behind the project," the researchers found themselves with "similar questions" about phone use in fishing communities but different questions regarding the roles played by "class, caste, and gender" in the busy markets. They were also faced with the challenge of "how to operationalize" their questions in an in-depth study. The researchers revisiting Jensen did go to one of his three sites in northern Kerala, Chaliyam, but they thought it might be valuable to acknowledge the fact that Kerala has 500 kilometers of coastline and that there were significant differences "in fish, in vessels, in credit relations, and who they sold to" across the region. Srinivasan was also curious about why there was "no mention of gender in Jensen." The team realized that "women did not participate in the North at all; in the South there were a lot of women." 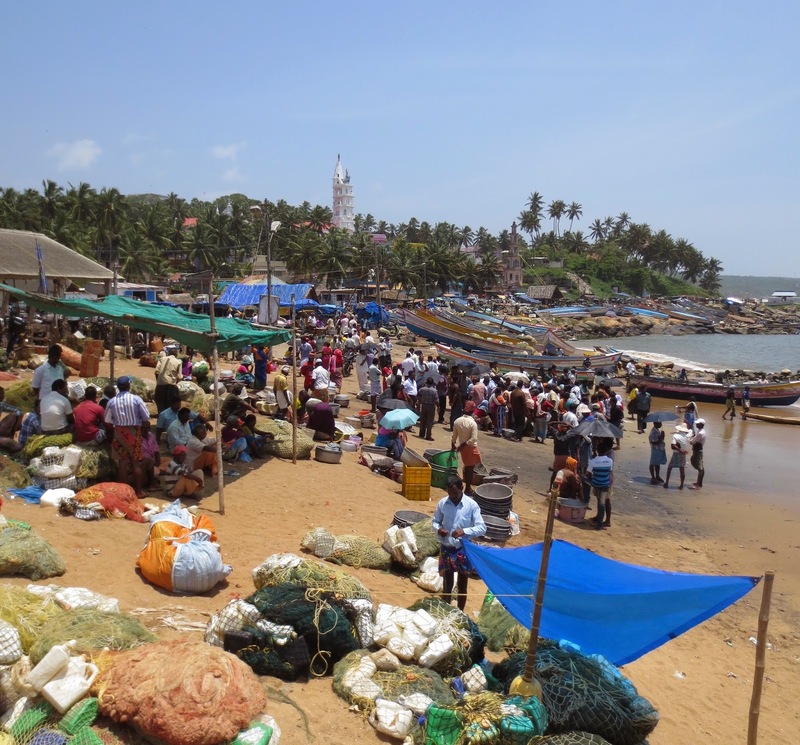 The economic importance of women in other ways was evident around Vizhinjam. There were a number of establishments that offered a credit market to those able to liquidate holdings in precious metals, especially gold accessories that were marriage gifts. (For research on gold loans and importance of wealth stored in women's jewelry see IMTFI researcher Joseph's work here). 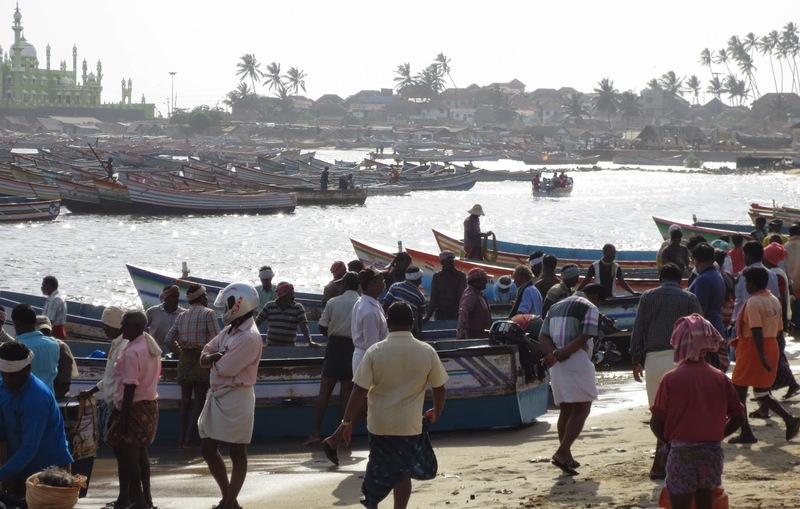 Srinivasan's team chose Vizhinjam to the south of the state of Kerala renowned for tourist beaches as well as fishing expertise. She added further that "Kerala has centuries of history with a long relation to migration, including movement to Gulf states. You acquire connections that make you cosmopolitan. I found it interesting because the older generation in the region had in reality traveled and had ties especially in the Middle East. This gap between perception and reality I found very telling." Srinivasan described the initial challenge of making sense of the complex scene at "an auction where everyone was bidding for piles of fish" and it was difficult to track "fishermen’s movements." She chuckled about the "chaos on that first day" and at coping with the "decibel levels." She recalls how "monitoring digital platforms, the formation of identities, and caste groups proved to be much more challenging than generating abstract and elegant 'equations' divorced from the messiness of reality. There might be fifteen auctions at the same time, with people pushing and shoving." Srinivasan described how the Vizhinjam field site differed from where she had worked in Pondicherry where the MSSRF information centers dispensed information about government schemes through kiosks, public address systems, or websites rather than text messages on mobile phones. There she had been struck by "how categorically they wanted to divorce their activities from politics," even though "everyday politics operating in the village" made the "universal idea of information being good" was complicated by the "facts that information was A) not just one thing and B) of course it is political." The research team also reviewed existing literature about the economic behavior of farmers around price information even though fishermen who are landless by profession, face specific difficulties different from that of farmers especially with regards to access to credit. 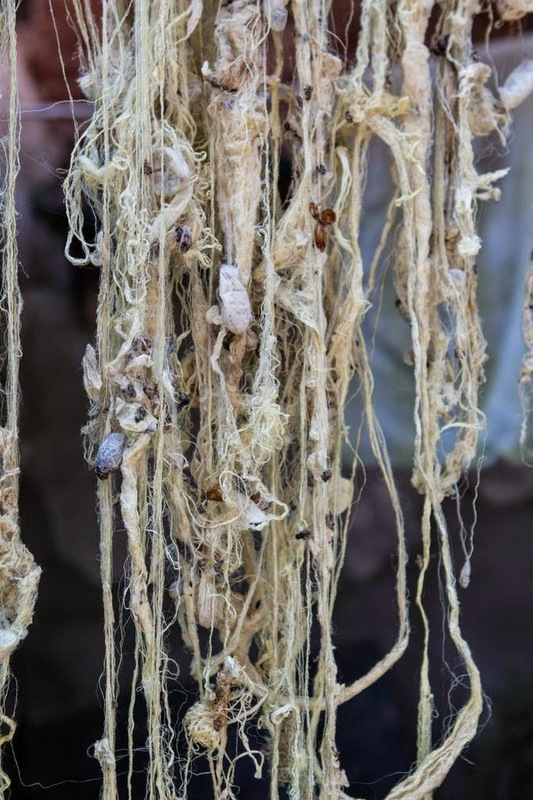 (For more on farmers, prices, and information, see our story about IMTFI researcher Nithya Joseph and her research on silk markets). In mapping economic relations the team also realized that when working with "the category of producer and consumer" it was often assumed that the two parties "did not actually interact," despite the apparent disintermediation of their transactions by access to cell phone data. Hybrid characters like the invester/auctioneer proved to be "critical from a design perspective" in understanding "different actors, kinds of phones, where did the auctioneer come from, and at why price information would even matter. 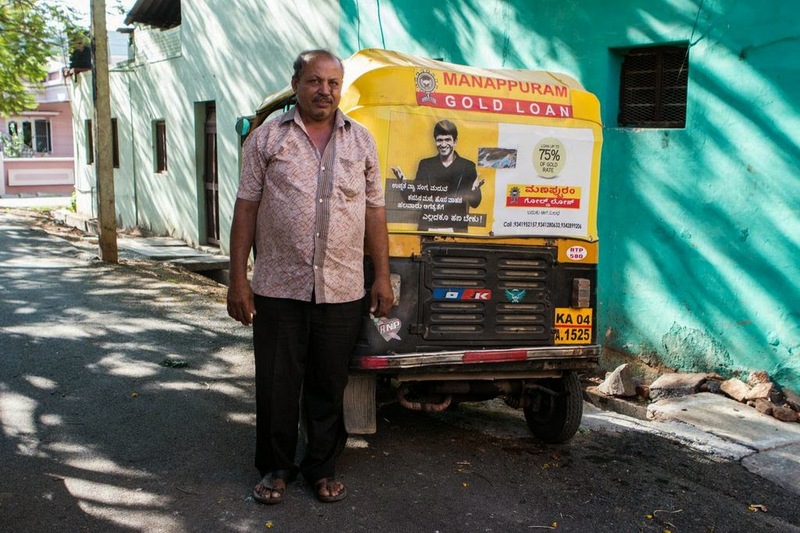 "(As a case in point IMTFI researcher Mani Nandhi's study focussed on credit relations available to rickshaw pullers in Delhi which shows that gaining access to credit could involve coercive financial relationships as well). In understanding how fish market transactions operated in the 60s through the 80s, "it might be easy to see these earlier relations as exploitative, because it was not a freely operating market; it was one that was structured in particular ways, and social campaigns and government interventions were not equally useful." 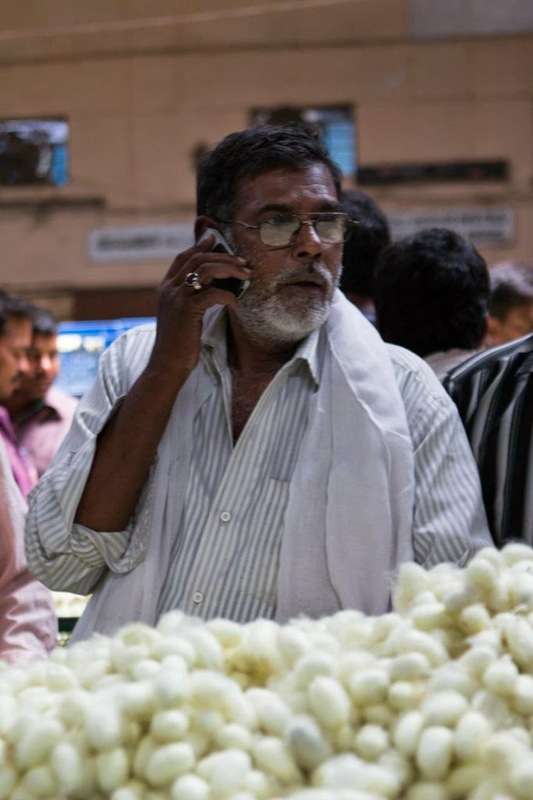 But the introduction of cell phone technology didn't necessarily make the market more democratic, Srinivasan argues, because of distinctions between "large vendors vs. small vendors." In other words, according to Srinivasan, "the bigger you were as a player, the more important price information was. Huge volume was needed, when we represent something as regulating and operating by economic laws. What about its history allows the market to operate and mobile phones to be useful? For me it was a useful extension to my dissertation," which looked at how information worked as a development tool for a political movement and an NGO-based initiative, as a way to represent "a free market conception of development and how the world works" and apply it to a case in which "a free market conception of development used information as a development tool." Srinivasan noted that in 2013 "the fisherman are not really literate, although the state has high literacy; many had learned to make use of the phone's calling function, or they would remember the last two digits" to pick out the right number from a contact list. 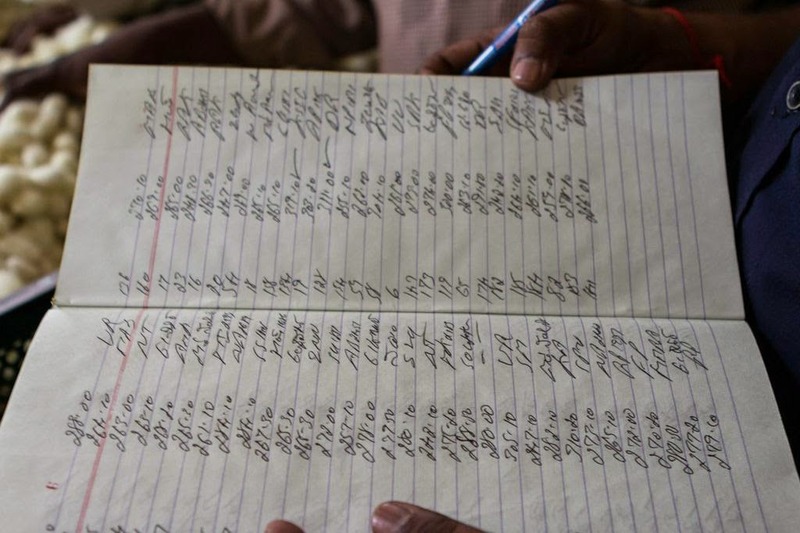 Some kept notebooks, because even if they were not literate they were numerate. Cell phones weren't only used instrumentally for economic purposes but "they used mobile phones for music out on the sea." Their social connections between the fishers were also much more than merely transactional. Srinivasan pointed out that even the youngest fisherman or auctioneers maintained traditional ties with the church tax collector, which were often enhanced by new technologies rather than weakened by them. 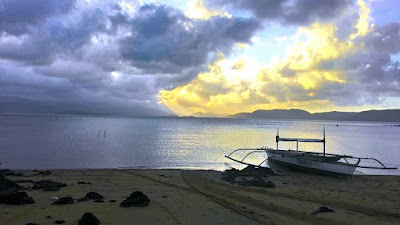 A younger fishermen and the young church tax collector from a fisher family said that "Facebook was important as a way to connect with the world; it was different from their parents' generation, who were from a close set of people with no ties outside of village. In their research the researchers have worked with local informants and translators in the field site to map a dense multiplicity of economic relations in which there were many types of producer, many types of consumer, many uses for cell phones, many different types of equipment for fishing. Among the many actors in the scene one would find auctioner/investor figures and export agents, wholesale agents, fish vendors, waste procurers, and even local religious leaders. For my visit, the researchers had provided me with images that were intended to map the dense network of participants in the harbor who were engaged in the buying and selling of fish as well as many other kinds of transactions. From the research team's photographs I recognized the mosque and church that shared the Vizhinjam skyline with tall palm trees. Vizhinjam is not very far from the regional capital of Thiruvananthapuram, which has a busy international airport and a vibrant political culture that had shut down the streets during my visit. Anticipating political disturbance on the street I waited to visit the docks until Sunday, a day when most of the activity focused on the maintenance of boats. On the quiet Sunday when I visited Vizhinjam, the main auction was closed and churches were holding services, there was plenty of activity around the marine food supply that ranged from managing family economics to the transactions of small roadside vendors selling meat who were doing brisk business. (Find IMTFI funded work on how small ruminants like goats function as a form of capital among those who live on less than a dollar a day here). Srinivasan also pointed out that "whole idea of collaborating closely on ethnographic research" involved a lot of coordination among the three researchers who were in different work environments. For instance Burrell was yet to visit the field site at the time of the interview. Nonetheless the group was able to have what Srinivasan described as a deep and lasting conversation about methodology as they stayed in touch through frequent Skype calls. "There were things we wanted to discuss throughout the process and recent things that emerged from the nature of the collaboration." Each saw the field site from her side through "disparate pictures and field notes" but also supplemented the research with new expertise. "Richa had worked with farmers in India and had seen how information circulates in that context, which was tremendously useful." Of course, she admitted that there was sometimes "ethnographic confusion" and many challenges in trying to get "a complete picture in three months" even as each of them would "jump in with questions." Srinivasan said "as a methodological path, it very useful, even if the connectivity was not always ideal. We started with plan of Skyping two times a week, and Jenna would read our notes and come up with set of questions. Jenna did a fantastic job on figuring out the political economy of the region." In conclusion, Srinivasan shared her interest to work on mobile payments and exploring questions regarding gender, particularly as she has personally encountered stories of women and the work of Lilly Irani about what counts as computing. As the MSc Digital Society program gets underway, she continues to pursue multiple collaborations, including "putting our students in touch with CIS," the Bangalore-based Centre for Internet and Society. Srinivasan has also begun thinking about the possible repercussions of the AADHAAR biometric identity card as another case study for exploring info-determinism, "it's interesting to think about biometrics as an ideology, about agents and enrollments, about the nationwide rollout of standardized numbers, who will come up to enroll, what documents of identity will be accepted, and how intermediaries will function. "AADHAAR promotes what she calls "the idea of a stable identity" while overlooking "people’s desire to negotiate their visibility to the state." She is also enthusiastic about working with other collaborators, as she develops her ideas about info-determinism, which might be "even bigger than technological determinism as a bias, because it ignores social structures, ignores the agencies of people who do something with the information." 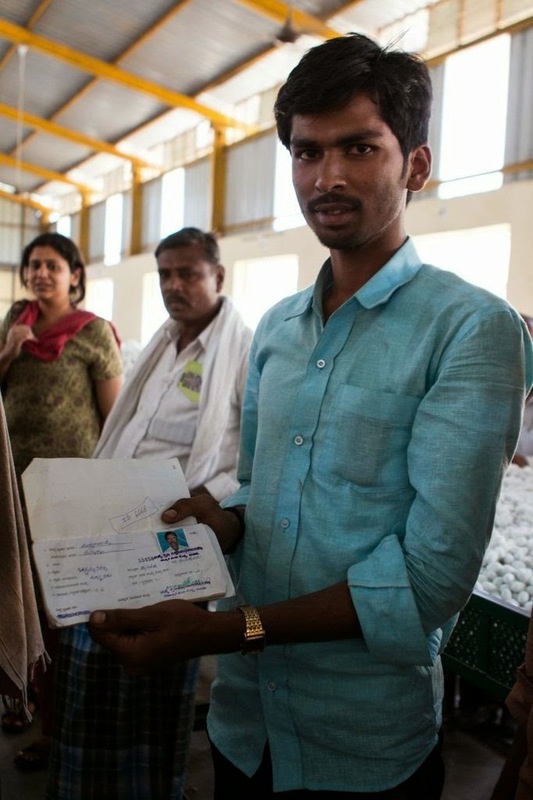 Srinivasan, along with Elisa Oreglia, will be joining the next cohort at IMTFI Fellows to develop new research in, "Intermediaries, Cash Economies, and Technological Change in Myanmar and India." Initial findings will be presented at the IMTFI Annual Conference, coming to UC Irvine in April 2016~stay tuned! 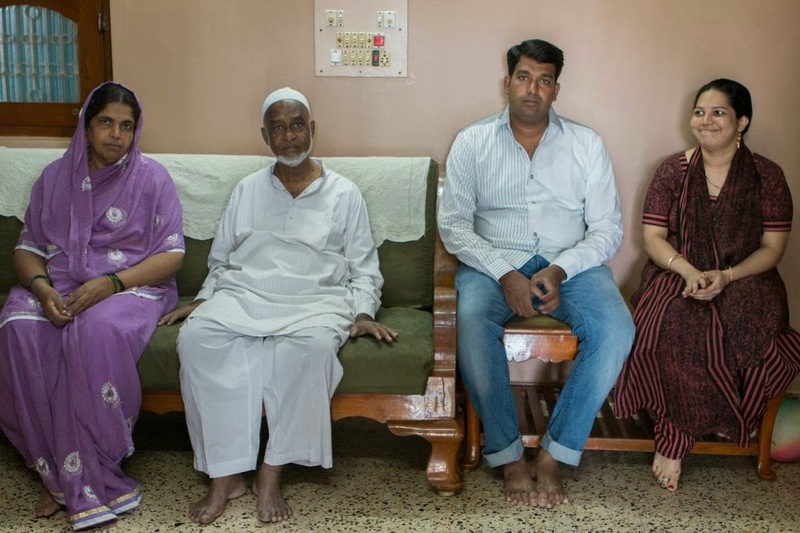 In March of 2015 IMTFI arranged for a comprehensive visit to India to gather updates on four of their sponsored research projects, introduction can be found here. 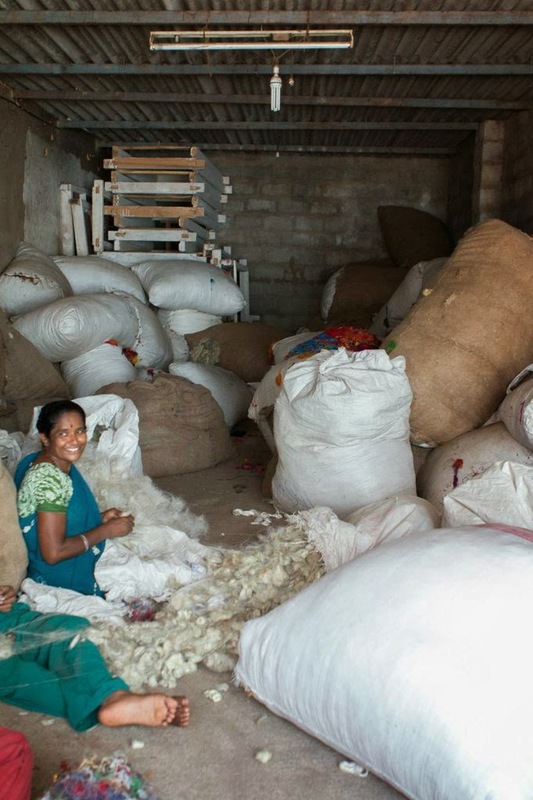 Developed with research in the Dharavi slums of Delhi, this second of four case studies takes a look at financial literacy and rural women in Bihar with Vanya Mehta and Deepti KC. Deepti KC of of IFMR has had a long-standing interest in the Dharavi slum in Mumbai where she has studied both site-specific cash economies (and the feasibility of introducing mobile or electronic payments) and the impact factor of financial knowledge, including knowledge derived from specially designed financial literacy comic books for male migrant workers and for female proprietors of small businesses. She has now teamed up with human rights activist and journalist Vanya Mehta to continue and refine an effective approach for disseminating financial knowledge tailored to specific populations. As Deepti has argued in a blog post, mobile money in India still lacks the brand recognition that it has in Kenya and there is a greater need for "knowledge platforms" in the country. Deepti has also worked with her fellow IMTFI fellow Mudita Tiwari to develop simple and engaging materials for raising awareness about digital money management and general financial literacy. According to Deepti, Mudita asked, "Shall we create a comic book and test if we can encourage women to save more?" and then "the rest is the history!" 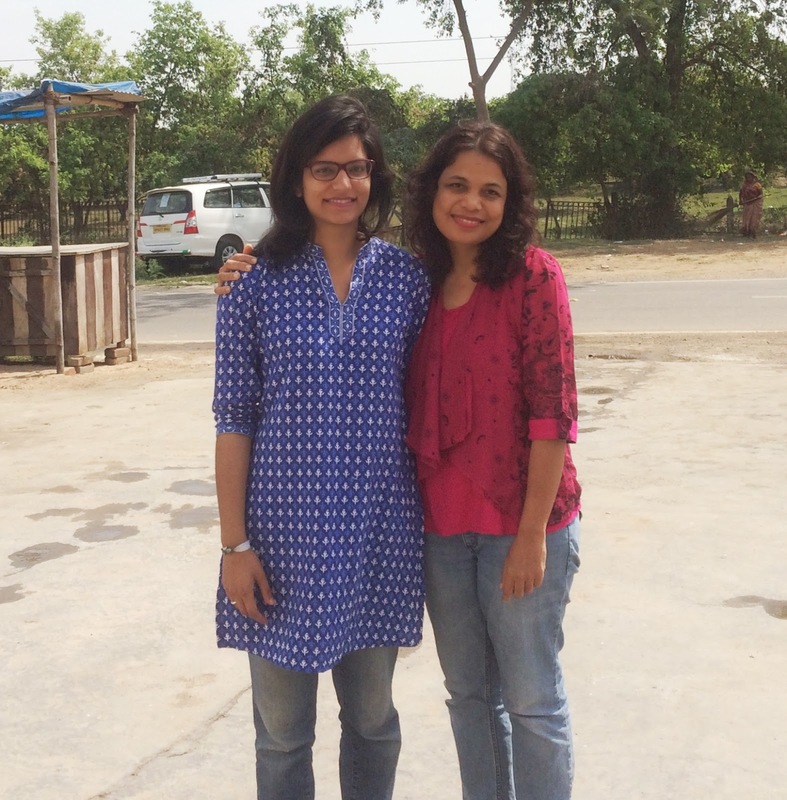 In sitting down for an interview for this blog post, Deepti emphasized how much she had learned from her IMTFI mentoring and how the anthropological perspective in considering multiple points of engagement has been invaluable to her. "IMTFI has been very useful; it really taught us about the ethnographic approach, so before going in and just data collecting, we can find more than we might in a regular structured questionnaire." People can "communicate more about their lifestyles" when a research methodology is used for "mixing qualitative and quantitative," as she first did when working with IMTFI colleague Mani Nandhi. (See more about Mani's research on rickshaw pullers in another blog posting in this series). "I would not have scheduled five visits for these financial literacy tools with a more conventional survey." Deepti affirms that "making multiple trips to build trust" needs to be prioritized. The kind of information you get is totally different. Yes, the same budget can collect data from thousands of women, but let’s not get greedy about the numbers." She has made an effective case for getting to know subjects in deeper and more nuanced ways and has also received funding for her projects from The Ford Foundation. According to Deepti, this mixed methods approach has been particularly important for not thinking about "access" to financial literacy tools too narrowly, particularly when barriers to financial inclusion are not constituted merely by straightforward inabilities to open accounts or push buttons on a cell phone. "At first I thought the problem was access. Now I understand that access is not the issue; the problems are cultural. It's about a lack of other kinds of information, a lack of handholding support. Funding from IMTFI allowed me to work at the interhousehold level and to notice that when we are pushing these financial products to women, we may be disturbing their position in the household and causing domestic disputes." 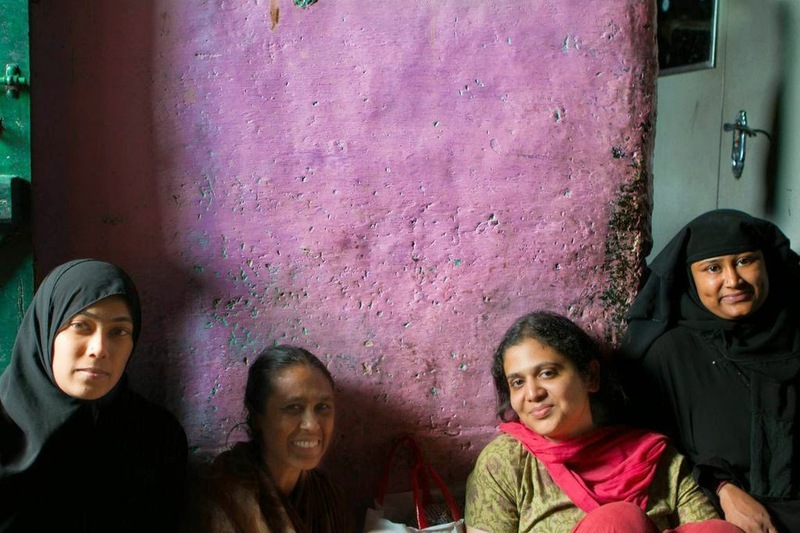 Deepti has focused on a fundamental question: "How should we empower women?" To do so, she argues that it is important not to ignore "how their husbands behave" and acknowledge unintended consequences of development work that could even be correlated to incidents of domestic conflict. Analyzing dynamics on the intrahousehold level can also be important for customizing requirements for financial literacy products more effectively. "I would also like to understand the role of daughters in motivating mothers to save, because the more we know about what is going on inside, the more we know about what is going on outside." Deepti also shared a more existential reason in which IMTFI support has been transformative for her. "It has made me more compassionate. Anthropology teaches you about seeing them as people, not just data. When you are giving that respect and trying to understand why that person is trusting, you are gaining trust and opening up. When you achieve that comfort level, they will tell you where they are hiding money. But you have to be very human and respectful." But building this "personal connection" isn't always easy, because "as a researcher you are not supposed to have emotions." Vanya explained how her research interests grew out of her interest in Dalit politics. In the interview she characterized herself as a relative newcomer: "I just joined in January to help run these projects on the ground. I had worked as a journalist and had conducted my own project with 216 households, in Hyderabad, working on public policies with scheduled castes. There are 37 or 38 different scheduled castes in Andhra Pradesh. By looking at four different scheduled caste neighborhoods, I could see community level differences that went beyond any questions about access to government benefits. It's about what kinds of jobs are they getting." (For more about scheduled castes, which are official designations given to various groups of historically disadvantaged people in India, such as the Dalit people who have been subject to discrimination as "untouchables," see this site from the Ministry of Social Justice and Empowerment). During elections, Vanya worked for the website TwoCircles.net. "It was founded by a Muslim guy for giving more space to Muslim issues. I was the first non-Muslim staff, and I chose to look at lower caste experience in India with long-form pieces." On a bright Monday morning in a small village in Bihar Deepti K.C. and Vayna Mehta were checking in with the financial literacy team of surveyors and trainers who were organizing storytelling activities designed to cover a wide range of formal and informal money management practices. Small ruminants wandered around nearby. (See the work of other IMTFI researchers for the importance of goats for financial well-being). Unlike printed matter that is merely disseminated to provide basic information through visual communication, the special comic books in plastic sheaths that the trainers used were designed to actively engage unbanked people. Through the comic books, Deepti hopes that women with limited literacy can still get the message that "everyone should save" and be able to prepare for unexpected events through "saving small amounts on a daily basis." Trainer Rekha was a lively interlocutor with an expressive face and voice who tried to bring the story to life. She says that she has also changed her own financial behavior as a result of being part of the team and now herself uses a financial diary to budget herself. We began at the home of a woman in "Group E," the group of subjects who were randomly assigned to receive all the services that the field team provided to rural women: financial diaries, lock boxes, and literacy training with the comic book. 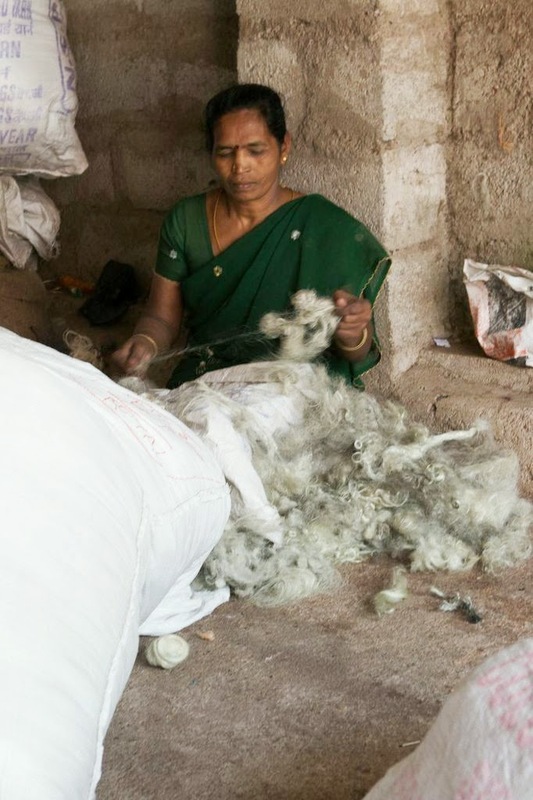 She had received a machine from the government to start a tailoring business with her husband. A sign on the door warned that activities were being videorecorded, as we waited in her sitting area while she completed her puja, the prayer ritual of devout Hindus. Mehta explained, because of the design of the project, the most needy people weren't necessarily the ones targeted with the most interventions. At the end of each unit, the trainer tested comprehension of major story points and encouraged conversation about applicability and recorded responses on a laptop. Later a surveyor would come and ask the same questions to ensure that the data collected was not impacted by the biases of the trainer. Deepti noted how a one-time survey would have generated much less disclosure. During the training, other members of the family periodically listened in, and the woman explained that her five-year-old son was now saving for a bicycle based on lessons learned from the comic book. There was money in her lockbox for this purpose, and her financial diaries indicated regular updating, although she had taken a four-day hiatus from her scrupulous record-keeping during the recent festival of Holi. The training section on informal savings was clearly a message she applied to her life. She was animated in responding about the usefulness of the stories related to storing cash securely and tracking daily financial expenses. These were areas in which she could clearly express her agency, while formal banking was obviously appeared to be a domain of her husband, who was in charge of both their bank account and the mobile phone. She also shared how as a daughter-in-law of the household, she had many limitations and commitments that curtailed her movements like being able to attend the local cooperative society meetings. But she added that she did not really miss them as the issues taken up in those meetings were less interesting to her since they had begun to only focus on the financial inclusion message while leaving out other ways that women could help other women. The next woman we visited was also in Group E. She was resistant to the educators' message and was very vocal and lamented on the futility of offering financial literacy training to people who didn't have any money. The third woman we visited was in a group that received only the financial diary. She had five children and had opened a small shop in her home. Although she was illiterate, her diary was filled with neat entries penned by her son. This included basic provisions (potatoes, lentils, etc.) and expenditures for her children's education (school fees, exam fees, etc.). 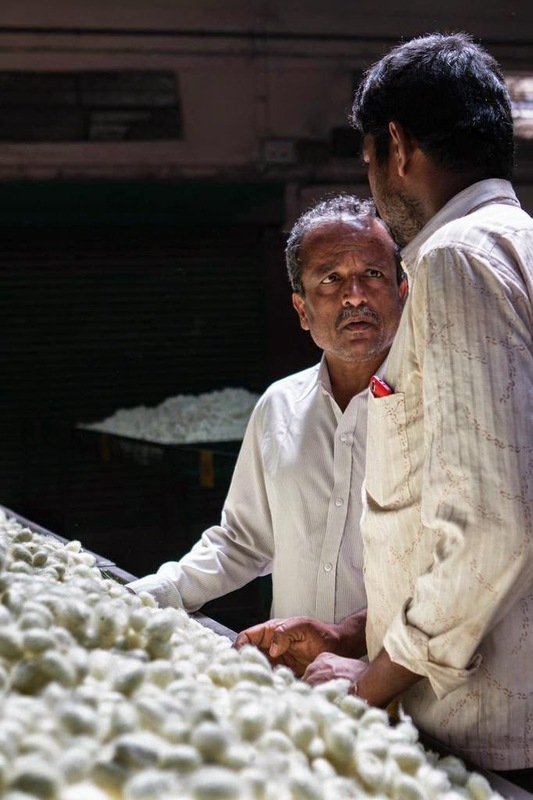 Deepti believes that it is very important to engage with questions about the informal sector, because it is often in these spaces that the disadvantaged actually are found to act and express their financial agency more comfortably. 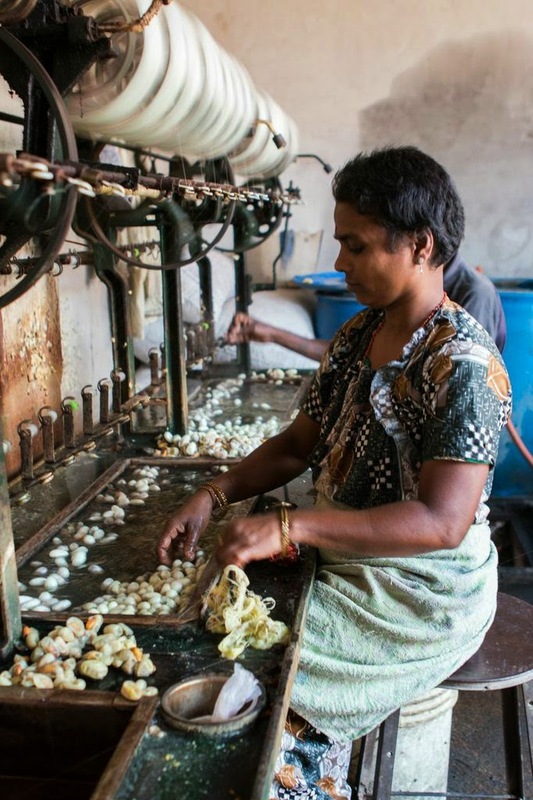 She recalled from her last project in Dharavi, a slum in Mumbai that is the largest slum in Asia, "we were trying to understand the business transactions among small entrepreneurs: 100 business owners and 25 women entrepreneurs." 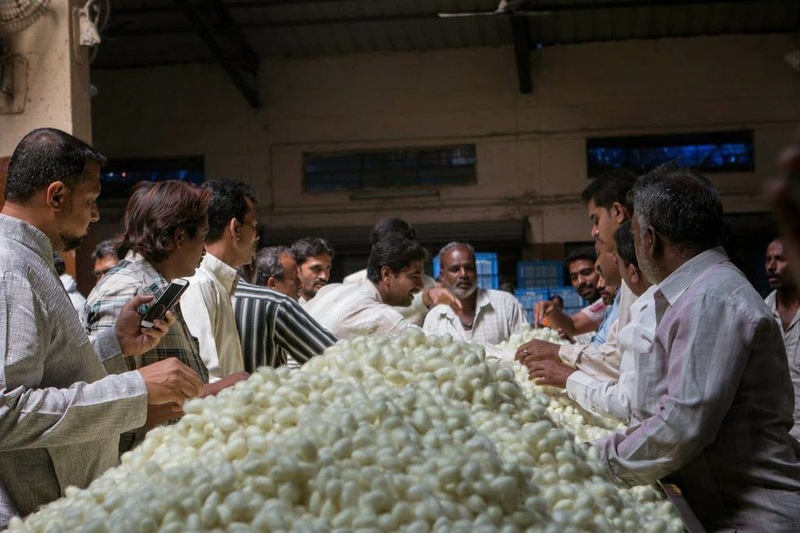 (For images of Dharavi, you can see this National Geographic coverage). "They had access to finance, ATMs and bank branches close by. They were using mobile phones, and their employers opened bank accounts for them." These kinds of "direct transactions" are often privileged in financial inclusion work. However, she explained that in these areas "people relied more on informal mechanisms. They always opted for cash transactions. There were behavioral biases." Deepti thinks that one must not stop here and blame the subjects but instead focuses on embracing the human element. She learned by watching the gaps in effectiveness that emerged when "some sort of information about banking services and financial modules easily available online" without considering why people "could not relate" to the message. These financial literacy pitches "talk about someone coming and telling you what to do, but they don’t talk about lifestyle or choices. They are very preachy with one character doing exactly what they are expected to do, rather than saying there might be another option." Deepti emphasized the importance of using rigorous experimental methods, even if randomization and the use of control groups might sometimes lead to delayed or displaced reward systems for those most in need. "We could look at only budget and actually create such financial literacy modules and test them." The stories in the comic books were "all based on our research findings about how women save." We even gave pictures from visits to field sites to the designers. "People can relate to comic books. The goal was to ensure that women understand what we are saying by using a character very similar to them." According to an unpublished draft report, it looks like this approach is working: among those who received only financial literacy training, their savings increased by 8%, while those who received a lock box along with financial literacy training increased their savings by 42-51%, and 77% of women who received financial literacy training reported that they shared their knowledge with others (friends, and family). As Deepti shared enthusiastically, "we noticed during our field visits too, that there was a ripple effect of the literacy program." *please allow time to download larger files, we recommend viewing in Firefox, Chrome, or Safari. Link to project,"Assessing the Impact of Financial Knowledge on Adoption of Mobile Payment Systems among Enterprise Owners in Dharavi, Mumbai"